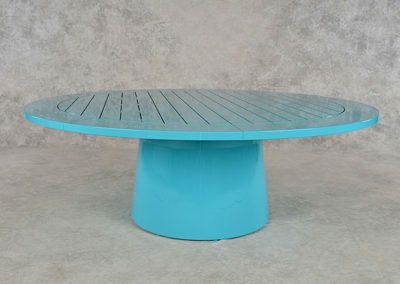 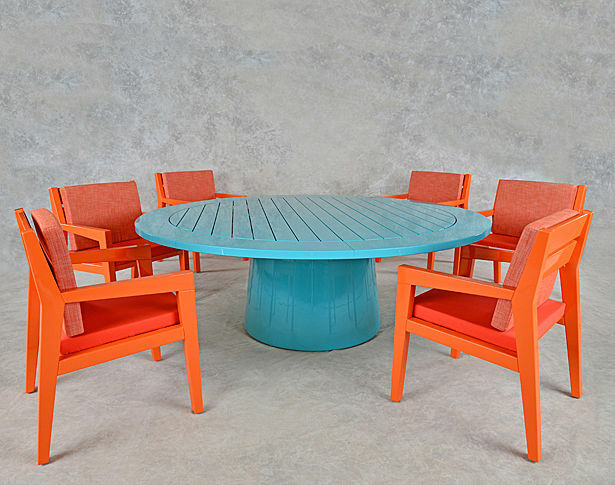 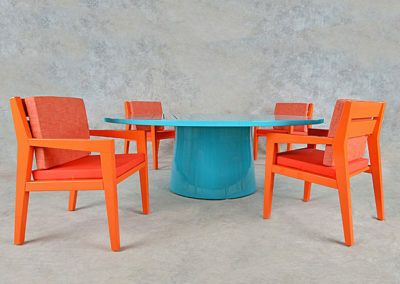 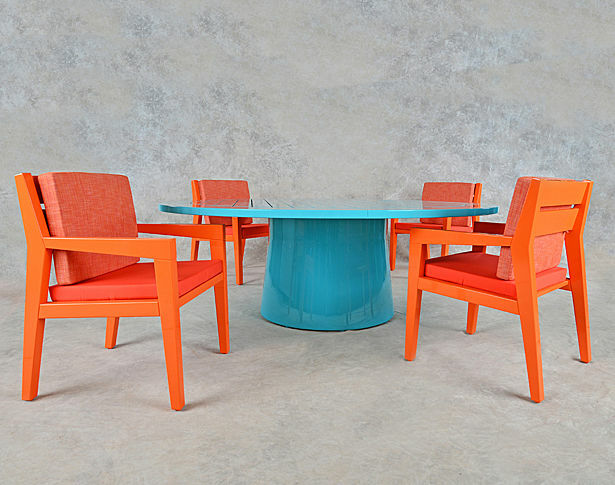 Features: Round table with cone shaped base is shown with 84" diameter slatted top. 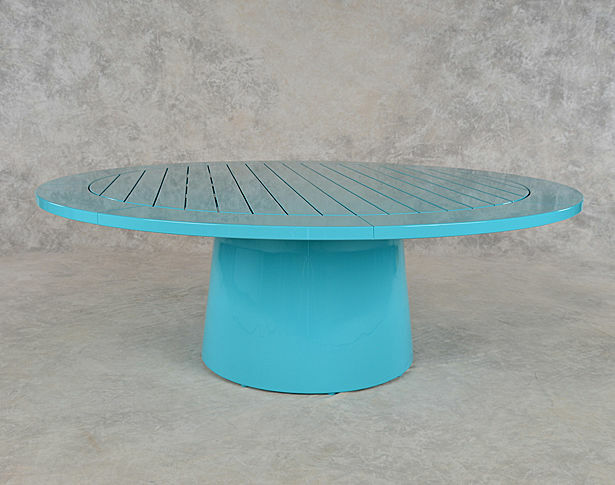 Also available in other diameters and custom colors. 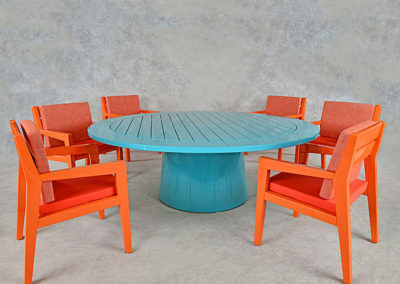 Please call for details.